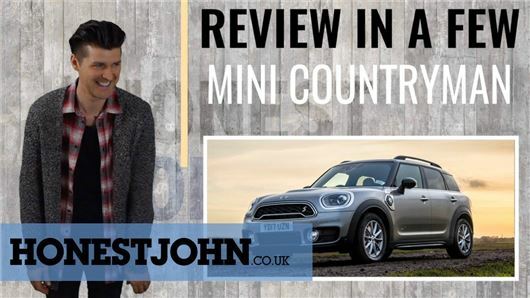 Despite being a full-sized family car, the MINI Countryman is compact and agile behind the wheel; if you want a crossover that's fun to drive, BIG MINI is it. But it's far from flawless - especially the Cooper S E plug-in hybrid. Mark takes you through it. Please take a second to subscribe to the YouTube channel. At last, someone who is willing to expose the huge disadvantages of hybrid vehicles. Why has HJ previously so often recommended them? Aside from the identified issues of too limited range from the electric motor, the too small petrol engine that often enough then struggles to cope alone, and the substantial and material extra purchase cost, there is the extra maintenance expense and concerns about longer term reliability and repair costs arising from the electric motor. All of that burden for the largely illusory benefits of lower cost than petrol, short range electric motoring seems a doubtful proposition. I'm fine with hybrids. But, like Toyota, not stuck on PHEVs. Toyota only did a PHEV of the Prius because it was forced to do so. Petrol hybrids get good mpg without putting the nation's lights out. Diesels get good mpg, but the cost of maintaining and replacing the emissions equipment can outweigh any fuel savings over petrol. It's a bit odd that the nation has leaped onto the bandwagon of NOxious diesels and dumped them for that reason rather than the eventual high maintenance costs.